CREDIT: Ritchie, Alexander Hay, engraver. 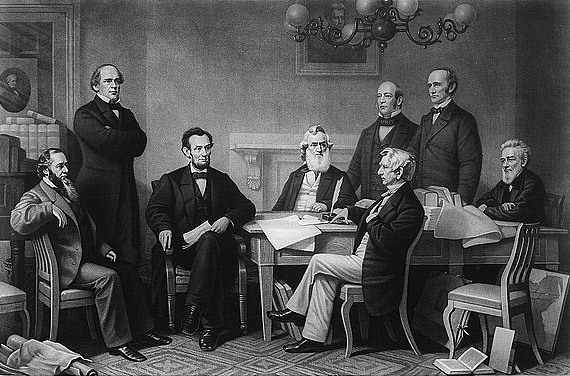 "The first reading of the Emancipation Proclamation before the cabinet," 1866. Prints and Photographs Division, Library of Congress. Reproduction Number LC-USZ62-2070 DLC.